Pursuant to the provisions of Provvedimento (measure) 229/2014 of the Garante per la Protezione dei Dati Personali (the Italian Data Protection Authority), for the purposes of art.13 of the Codice Privacy (privacy code), Lui l’Espresso Srl, with registered office in Viale delle Scienze 6 -20082 Binasco (MI), informs navigators that the site uses files termed “cookies”. Cookies are short text strings automatically downloaded onto users’ computers or devices each time they visit the web site. This enables the company, on each visit after downloading, to track user’s choices and thus ensure experientially efficient, targeted visitor navigation. According to the function and the purposes of use, cookies are classed as technical cookies, cookies for profiling and third-party cookies. While navigating on this site, users may receive cookies sent directly from the site, which are managed by Lui l’Espresso Srl, and cookies sent by various sites or webservers managed by third parties (third-party cookies). All the cookies described in this section are sent directly from this site and are managed directly by Lui l’Espresso Srl in the capacity of operator responsible for data processing, in the person of its pro-tempore legal representative. The cookies are used with electronic instruments for the purposes indicated for each. The cookies can be transmitted to third parties. – cause the data to be deleted and rendered anonymous or, as regards illegally processed data, blocked. By sending the request to the email address indicated above, users can at any time also oppose any further processing of their data for profiling purposes. Technical cookies are not used for any other purposes. They are managed directly by Lui l’Espresso. This class includes “performance or analytics cookies”. These cookies collect information in anonymous aggregate form, regarding numbers of users and the use that the said users make of web sites (e.g. information on which pages or sections of pages are displayed most frequently and which pages indicate failures). In order to enhance the service rendered, this class also includes functionality cookies enabling user navigation according to selected criteria (e.g. language, font, browser type). These cookies are all automatically enabled. Users who wish to disable them will find the information they require in the “Controlling your cookies” section. To use such cookies, the user’s prior informed consent must be given, freely and in accordance with the provisions of art. 23 of D.Lgs. (legislative decree) 196/2003. 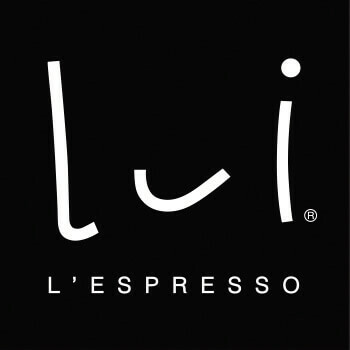 In accordance with the measure of the Garante per la Protezione dei Dati Personali (the Italian Data Protection Authority) (229/2014), consent may be given by users via a banner displayed when they first visit the Lui l’Espresso site. This consent may be revoked at any time by disabling the cookies in the manners set forth in the section below, “Controlling your cookies”. The cookies for profiling are managed directly by Lui l’Espresso. Use of these cookies requires the prior informed consent of users, obtained as set forth in the section above. Please click the links provided below for further information that you may require when deciding whether to authorise deployment and use of such cookies. If you wish to revoke the consent that you have already given, please see the “Controlling your cookies” section. The procedures to be adopted in order to manage your cookies will vary from browser to browser. Users can personally manage their preferences in regard to cookies via their own browsers, and can – for example – prevent third-parties from installing them. Users can use their browser preferences in order to zap previously installed cookies, including the cookie recording consent given for cookie deployment by this site. Please note that by disabling all cookies, you may adversely affect the functioning of this site. Users who are unfamiliar with the type and version of the browser that they are using can click “Help” at the top of the browser window to access all the information they require. Users who are familiar with their browsers can click the current browser to access the cookie management page. They can find information on how to manage the cookies in their browsers by accessing the following addresses: Google Chrome, Mozilla Firefox, Apple Safari, and Microsoft Windows Explorer. In regard to services provided by third parties, users who wish to exercise their right to oppose tracking should examine the Privacy Policies of these third parties via the cookie-blocking link (if explicitly provided) or by directly contacting the said third parties.